“The National Interior Decor & Hospitality Credit Group,” (NID&H Credit Group) is made up of manufacturers, wholesale distributors, fabricators, and factors. The common thread that binds these members together is the fact that they are all selling to a common customer base. The retail establishments from the big box stores, down to the mom & pop retailers, designers, contractors and hospitality accounts are all being served by the membership. The membership is governed by a set of by-laws that assures that the membership abides by all state and federal laws governing anti-trust and other applicable laws. “National Business Credit Exchange,” (NBCE) is an independent corporation organized in the year 2000 under the laws of South Carolina. The purpose of this organization is to facilitate the exchange of commercial credit information between its members. The primary mode of exchange is through the Internet, using protected software programs. NBCE is the sponsoring agent for the NID&H Credit Group. As the sponsor, NBCE is responsible for governing the meetings to assure compliance to all governing guidelines. This credit group used to be the old National Window & Wallcovering Credit Group and NBCE took over their sponsorship in 2002. 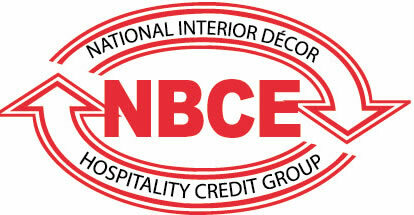 Also in 2010, several members of the disbanded NACM – National Hospitality Credit Group joined NBCE’s group to widen its base. Any company that fits the profile of our membership may apply for membership. Any member in good standing may sponsor another company for membership. Application is reviewed by the membership committee. (Note that the representative from NBCE does not have voting rights in this instance.) The membership fee is set each year by NBCE. Members are required to attend a certain number of meetings each year although there is some flexibility. This number is set by the members themselves and incorporated into the by-laws. The members own this group and share the expense of the meetings. Refer to the by-laws for details. The group members set the meeting schedule each year. It is the responsibility of NBCE to make arrangements for these meetings and secure the best possible rates for the membership. Meetings are usually held in hotels that will assure good value and safety for the membership. The meeting consists of two major parts. The first part of each meeting is educational in nature. The remainder of the meeting is devoted to the discussion of account histories that each member submits. NBCE will gather current information on each account submitted, and have the information available at the meeting for discussion. Members are encouraged to speak freely about their history with each of the accounts. Each member comes away from each meeting with information and new contacts that will help them to reduce delinquency and bad debts for their respective companies. The meetings are easy to evaluate for the benefit that they provide, but there is no way to measure the value of the contacts that are made during these meetings. The people come together as business professionals, and leave as friends. You will always get better and more thorough information from a friend, than you will get from a fax requesting credit experience. The present membership fee is $850.00 per year. The meeting expenses averages $125.00 per meeting. and attend our next meeting as our guest!